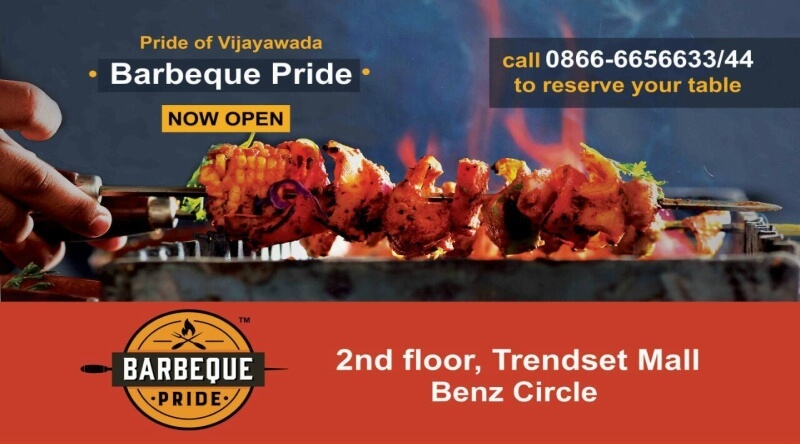 Vijayawada city has now an another new restaurant "The Barbeque Pride". The Barbeque Pride restaurant is opened in Trendset Mall, with a spacious 4,350 square feet. The main hall of the restaurant has the capacity to take 120 customers at a time in addition to two party rooms with the capacity to seat 30 persons each.